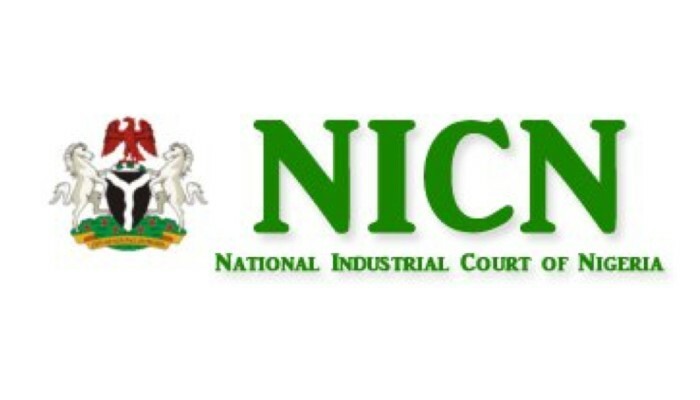 The official inauguration of the National Industrial Court of Nigeria (NICN)’s Alternative Dispute Resolution (ADR) Centre Instrument & Rules 2015 on 18th December 2015 marks a significant milestone towards the discharge of the mandate of the Court, as the specialized federal superior court of record with exclusive jurisdiction on industrial, employment and labour related disputes in Nigeria. The inauguration ceremony which attracted major stakeholders held at the Shehu Musa Yar’Adua Centre Abuja, under the distinguished chairmanship of the Chief Justice of Nigeria (CJN), Hon, Justice Mahmud Mohammed, GCON. The nature of industrial relations and labour/employment-related disputes tends to favour adoption of ADR to deal with some aspects of the disputes that may not lend to rigorous procedure and somewhat distasteful outcome in litigation. Maintaining rules of engagement and resolution of disputes in a prompt and effective manner that would keep the labour-management relationship in check and amicable is imperative, to avoid adverse consequential effect on the parties and the overall growth of the economy. Bearing in mind amicable resolution as the cardinal policy of resolution of industrial and labour –related dispute, Alternative Dispute Resolution (ADR), particularly non-adjudicatory model, like Mediation and Conciliation, are most suitable methods of resolution of some aspects of industrial relations/employment related disputes. Mediation as an ADR model, particularly projects itself as a preferred method, as it saves time, preserves relationship even in disputing time, and maintains confidentiality for privacy and preservation of trade secrets, lends to flexible technical procedure resulting in win-win outcome and psychological satisfaction, by adopting consensual and adequate party participatory process. It is therefore the sole aim of this discourse to bring to bear an overview of the Instrument & Rules of the Court’s ADR Centre which, as the President of the Court pointed, is set up to enhance the Court’s mission of “an efficient, timely and just system of justice delivery”, that would “ensure that employment, labour and industrial relations and workplace related disputes are resolved in time while maintaining cordial and peaceful working relationship between parties”. Over time, the debilitating shortfalls of litigation, exemplified in protracted delays with attendant costs, strained relationship, unpredictable and unpalatable outcome of judgment without justice, etc, exposed its unsuitability to the needs of disputants and overall justice administration system. The consequent vigorous interrogation of the suitability of litigation as an exclusive formal dispute resolution model, resulted in some alternative options-the Alternative Dispute Resolution(ADR), among which are: Arbitration, Conciliation, Negotiation, Mediation, Early Neutral Evaluation and other hybrid processes. ADR which evolved from private initiative in informal dispute resolution setting has now been integrated into formal dispute resolution system even as a supplement to litigation, otherwise, known as Court-Connected ADR Centre, exemplified in the Multi-Door Court House (MDCH) system. The MDCH system is a Court-Connected ADR process aimed at granting multiple access to justice through making available various models of dispute resolution to disputants, to assuage their crave for quality and timely justice. The MDCH system was ably pioneered and institutionalized by the Lagos State Judiciary pursuant to the Lagos State Multi-Door Court House (LMDCH) Law 2007- Law No.21 (Vol.40.No.56, Lagos State Official Gazette of 3rd August 2007). Interestingly, less than a decade of infusion of MDCH in the legal system, the model has been amply replicated at the Federal Capital Territory and many other States in Nigeria. The sporadic rise of the Court-Connected ADR Resolution mechanism is a product of bold initiative to integrate a hitherto private process of ADR into the mainstream of formal judicial setting. The integration of ADR mechanism in formal legal system of dispute resolution in court setting now provides disputants with a dossier of supplement to litigation, as classical court room process available in litigation no longer satisfies the yearnings for desirable fair and efficient justice delivery and administration system. A typical MDCH system has the following ADR processes- Arbitration, Mediation, Conciliation, Early Neutral Evaluation and other Hybrid Processes integrated with litigation processes under direct supervision of designated Judges, classified as ADR Judges. Matters are initiated through – Court Referral, Walk-in and Direct Intervention. Given the tortuous journey the National Industrial Court of Nigeria (NICN) has undertaken through its committed and visionary leadership, to be repositioned as a prominent superior Court of record expressly listed in the Constitution by virtue of S.254C of the 1999 Constitution (3rd Alteration) 2010, the Court was poised to set up a formidable unique ADR Centre, improving on researched assessment of the operation of the existing Multi-Door Court House (MDCH) system. Essentially, the ADR Centre established by the NICN has unique features which differ markedly from the regular MDCH system operating in the High Courts of various States in Nigeria and the Federal Capital Territory. The NICN ADR Centre Instrument & Rules 2015 are twin documents which provide the legal framework for the establishment and operation of the ADR Centre. By S.254C (3) of the Constitution of Federal Republic of Nigeria 1999 (as amended), the NICN ADR Centre is the first and only Court-Connected ADR Centre which was established pursuant to the Constitution. It also derive its root statutorily from the combined provisions of Ss.1 (2) (a) and 20 of the National Industrial Court Act (NICA) 2006, which empower the President of the Court, to administer the Court and also encourage the promotion and use of ADR in the Court. The NICN ADR Centre is well structured with separately designated Staff and Management, but who are also part of the integral Staff and Management of the Court. The Staff hierarchy headed by the Director of the Centre (equivalent of Deputy Chief Registrar) is also streamlined with that of the Court’s regular Staff Cadre. In fact, the qualified Staff of the Centre sits as ADR Officers to complement qualified external consultants sitting as Neutrals in the Mediation/Conciliation panel. Its funding is guaranteed as part of the Court’s budget. The Centre has clear cut mandate set out in Art.4 (1) of the Instrument: To enhance and facilitate quick, efficient and equitable resolution of certain employment, labour and industrial relations disputes within the jurisdiction of the Court; to minimize, reduce, mitigate and eliminate stress, cost and delays in justice delivery by providing a standard ADR framework for fair, efficient, fast and amicable settlement of disputes; and to assist disputants in the resolution of their disputes without acrimony or bitterness. Unlike the MDCH system, there are laid down objective criteria expressly set out to guide the screening matters to qualify for the ADR. By virtue of Art 4 (4)(c )(5) of the Instrument, for a matter to qualify, the matter must first fall within the jurisdiction of the Court. Such matter shall not be on interpretation or challenge of the jurisdiction of the Court and the substance can be on monetary claims. Criminal cases are entirely excluded. The guide as to matters that can qualify on the basis of the jurisdiction of the Court is spelt out in Art.4(5) of the Instrument, which adopted the some specific matters the Court exercise exclusive jurisdiction on , as stated in S.254C(1)(a),(c),(g)(k) of the 1999 Constitution (as amended) and S.7(1)(a) and (b) of the NIC Act 2006, all relating to employment, labour, industrial relations and environment and condition of work, health, safety and welfare of labour, and related matters. The Centre does not accept Walk-In matters by persons who do not have their case formally filed in the Court. This makes the Centre truly Court-Connected ADR Centre. By the combined effects of Art.4(4)(a)-(c) of the Instrument and Or.3 R.2 of the Rules, matters can only be initiated in the Centre through – the parties or referral by the discretion of the President of the Court or Judge handling the matter. Either of the parties in a dispute can upon filing the action in the Court apply to the President of the Court for the action to be resolved through the ADR. Both parties can upon joining issues in the action mutually opt to use the ADR process, in which case the Judge of the Court seized of the matter shall refer the matter to the Centre. By Art 4(6) (c) of the Instrument, even a single issue can be referred without the entire matter, thereby encouraging frankly resolution of dispute in bifurcated proceedings in the Court and the Centre. Another interesting feature of the NICN ADR Centre is that the ADR Process available in the Centre is limited to Mediation and Conciliation. Thus, Arbitration is not utilized in the Centre. This may perhaps be, to give clear way for the use of Arbitration in the Industrial Arbitration Panel (IAP), which Award is now enforceable or challenged in the NICN, courtesy of the enlarged and streamlined powers of the Court under the new Constitution. Since quick resolution of dispute is a great attraction of ADR, conscious effort was made in the NICN ADR Centre Instrument & Rules to expressly provide for effective utilization of time in resolution of dispute referred to the Centre. By Art. 4(26) of the Instrument and Or.3 R.7 of the Rules, the duration of proceedings in the Centre is 21 days which can be extended by additional 10 days upon a request by the Director of the Centre made within 5 days before the expiration of the 21 days to the President of the Court, who can approve the extension.Or.3 R.8 of the Rules limited request for adjournment by a party to 2 times. By Or.3 R.2 of the Rules, the President or a Judge can refer a matter after all interim or interlocutory applications on such matter have been heard by the Court. And by Or.3 R.4 of the Rules, no interlocutory application is entertained in court in respect of the referred matter until the ADR process is concluded. These are indeed, proactive measures put in place to avoid distraction and to keep the process in focus towards amicable resolution of dispute referred to the Centre. Confidentiality is the hallmark of the mediation process, which is the key driver of the Centre’s ADR process. Adequate provisions exist also to ensure confidentiality of the process. No communication of the proceedings is made public. It is only successful proceedings which have been entered as Judgment of the Court that can be made available by the Court to the public, perhaps, through law reporting, for development of the jurisprudence of the process. Adequate provisions were made to guard against breach of confidentiality and conflict of interest in Art. 4(33-(37) and Art. 9(4) of the Instrument. A very unique provision which is at the heart of ensuring confidentiality of the mediation process is Art. 4(27)(b) of the Instrument dealing with content of Report of unresolved matter( failed mediation) which expressly excluded the Record of Proceedings of the ADR session from the memorandum which the Director shall submit to the President of the Court or the Judge that referred the matter to the Centre. With this rule, the Court hearing a failed ADR case would be open-minded and would not be biased at the trial against the party perceived to be responsible for the failed ADR. The parties would also be less aggressive at the trial in Court, being sure that the records of disclosures of their underlying interests in the dispute are privileged. Many of the regular Multi-Door Court House system did not make adequate precaution against confidentiality challenge arising from failed mediation process. At the MDCH, if resolution fails, the Case Manager issues report with details of what happened at the ADR attempt and sends the file to court with a hearing notice issued to the parties. The report is often biased as it tends to indicate who was responsible for the failed resolution based on the assessment of the person writing the report. This attitude which impinges on confidentiality of the process is one of the challenges currently affecting the efficacy of resolution of dispute at the MDCH. Art.4 (29); 4(10),(31) and(32); Art.6(1)-(9) and Art.5(1)-(2) of the Instrument carefully spelt out the role of the Court, the ADR Officers /Neutrals, the Parties as well as Counsel in the ADR process. The Court only play supportive role in referral and entering the Terms of Settlement as Judgment of the Court. ADR Officers are barred from imposing any decision/opinion or taking any judicial action/pronouncement, but are limited to facilitate the resolution of the dispute using Mediation/Conciliation according to the laid down procedural steps set out in Or.4 R.(1)-(21) of the Rules. The parties are enjoined to cooperate and participate actively towards amicable resolution of their disputes in a win-win outcome. Parties have their liberty to settle or not to settle their dispute but they must appear at the Centre. Counsel are enjoined to bear in mind the overriding objective of use of ADR in dispute resolution at the Centre, and as such should encourage and allow their Client parties to participate actively in mediation or conciliation process , while serving as advocates of their Client’s interest in the proceedings. Although Counsel is to execute the agreement reached, but by Art.6 (8) of the Instrument, a Counsel’s signature can be dispensed with in a situation where an amicable settlement agreement has been reached and a term of settlement drawn through mediation or conciliation process but any of the counsel to the parties refused to execute the agreement, such party is at liberty to execute the terms of settlement on his /her or its own. The NICN ADR Centre Instrument & Rules provides for another unique feature in being the first ADR instrument to address the significant issue of Counsel’s Fess. Overtime, one of the perceived grounds for reluctance of Counsel to embrace ADR is the fear that ADR represents. Acute Drop in Revenue, as Counsel are often victims of antics of Client’s belief that lawyers are not entitled to considerable fees without involving in protracted litigation. Art.7 recognizes the Counsel’s entitlement to his/her fees in matters settled at the ADR Centre. It provides: “Notwithstanding anything to the contrary contained in this Instrument, the referral of a matter from the Court to the Centre shall be without prejudice to the payment of any professional fees agreed upon between the parties and their respective Counsel”. Counsel can always take advantage of this provision to strengthen the Agreement for Professional Fees by incorporating it as a Clause in the Terms of Settlement, which is binding on the parties pursuant to Art.5 (30) of the Instrument and enforced also as a Judgment of the Court. A concerted effort has been exerted in bringing to bear the innovative provisions of the National Industrial Court of Nigeria(NICN)’s Alternative Dispute Resolution (ADR) Centre Instrument & Rules 2015, which sets out the legal framework for establishment and operation of the NICN ADR Centre operating in six Judicial Divisions in States located in six geo-political zones of Nigeria. The unique features of the provisions of the Instrument& Rules have been highlighted to showcase the Centre as different from the regular Multi-Door Court House (MDCH) system, pioneered by the Lagos State Judiciary and now replicated in the High Court of the Federal Capital Territory (FCT) Abuja, as well as several States High Courts in Nigeria. There is no doubt that with the timely inauguration and overt support of the leadership of the Court, the NICN ADR Centre is well positioned to discharge the mandate of the Court in contributing towards ensuring harmonious industrial relations for the Nation’ socio-economic development and growth.